Freestanding bathtubs are the ideal way to give your bathroom a well deserved touch-up. So are you bored of the same looking bathroom? Do you think that it is high time you gave your bathroom a makeover? Well, the retro look will always be in fashion and it is always the best way to add more dimension to this personal space in your home. Freestanding bathtubs are the ideal way to give your bathroom a well-deserved touch-up. So are you bored of the same looking bathroom? Do you think that it is high time you gave your bathroom a makeover? Well, the retro look will always be in fashion and it is always the best way to add more dimension to this personal space in your home. While giving your bathroom a retro makeover, you need to ask yourself what kind of accessories you will need. If you are aiming to derive the maximum advantage out of the space available in your bathroom, then installing bathtubs is the best option. This is so because it enables you to relax and unwind completely. The spectrum of choices is varied when it comes to bathtubs. You may choose a design which is sophisticated or something very edgy, depending on your personal taste. These are the preferred. This kind of bathtub is designed to sit by itself on top of the bathroom floor. It does not use any kind of external support. Some freestanding bathtubs include vintage and clawfoot designs which are very popular amongst the masses. 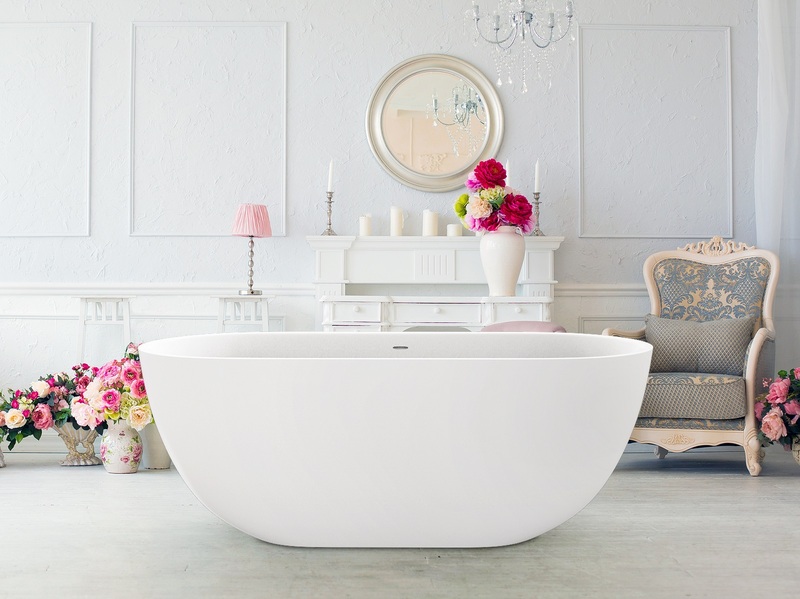 Some other examples of freestanding bathtubs include deep soaker and slipper tubs. These tubs must be fitted near the plumbing pipes or the drainage area. These tubs are also the ideal way to help your body relax after a long and tiring day. Solid surface baths are made up of manmade material and are very durable. Usually composed of materials, such as polyester resins, acrylic, bauxite, marble dust and pigments, these tubs are the preferred choice for seamless countertop installations. Solid surface baths provide an enormous amount of space within them. This is the reason why they are the choice of women who like to indulge in hot body soaks. The material of this bath is very low maintenance and mimics wood and stone in terms of appearance. 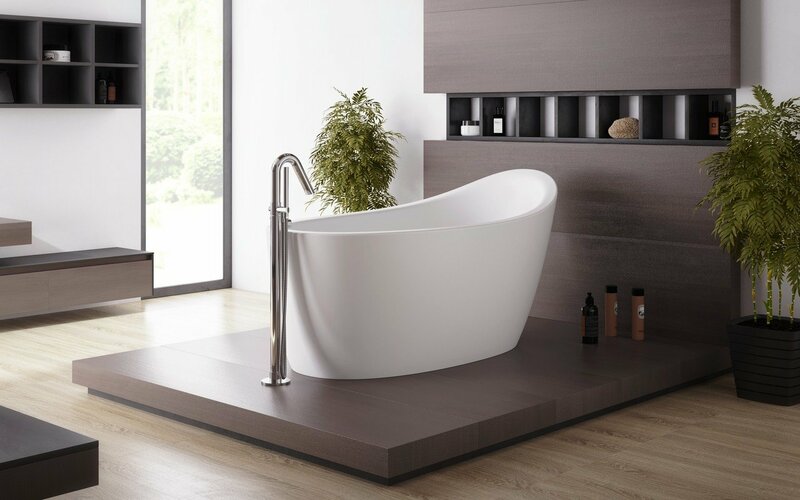 A well-known characteristic of a deep freestanding bathtub is the fact that it provides a very large space for holding water. 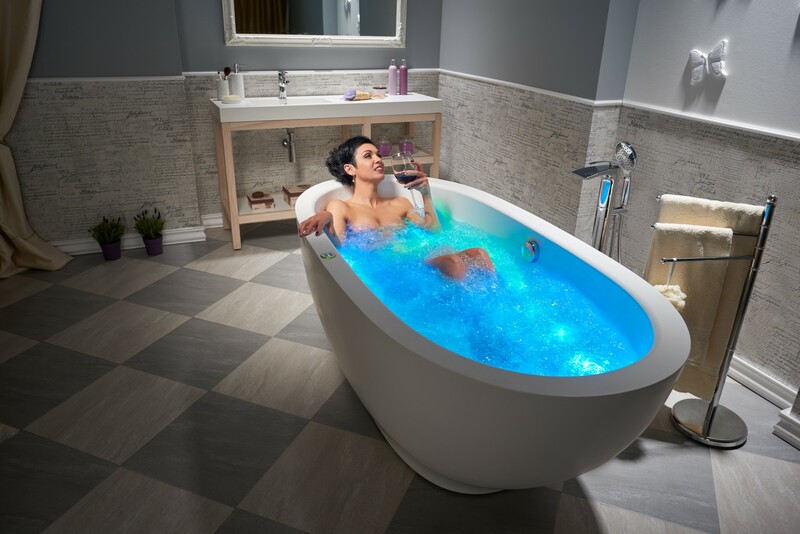 This offers a tremendous amount of relaxation to the person who is taking a bath in deep freestanding tubs. Providing the perfect opportunity to unwind and refresh all the tensed muscles, deep freestanding tubs are the key to ultimate relaxation!